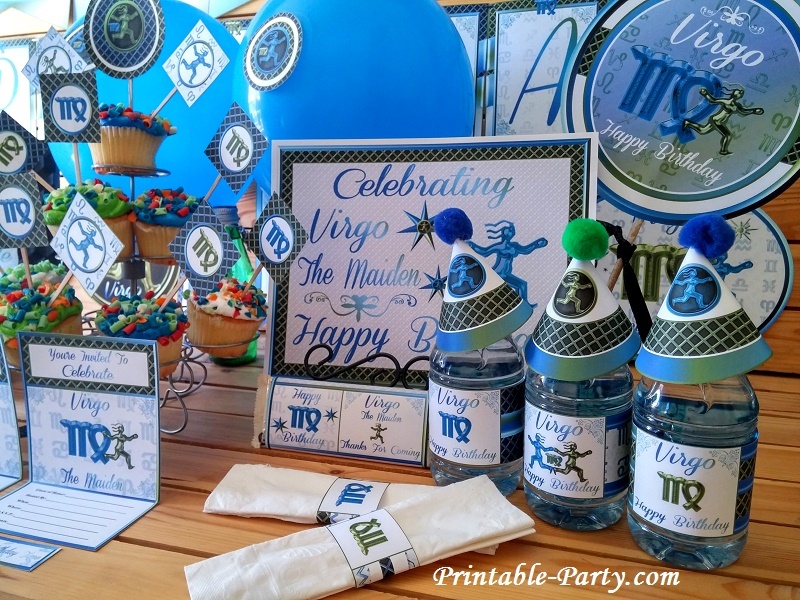 Printable Virgo zodiac party supplies for you to create a unique classy celebration unlike the rest. 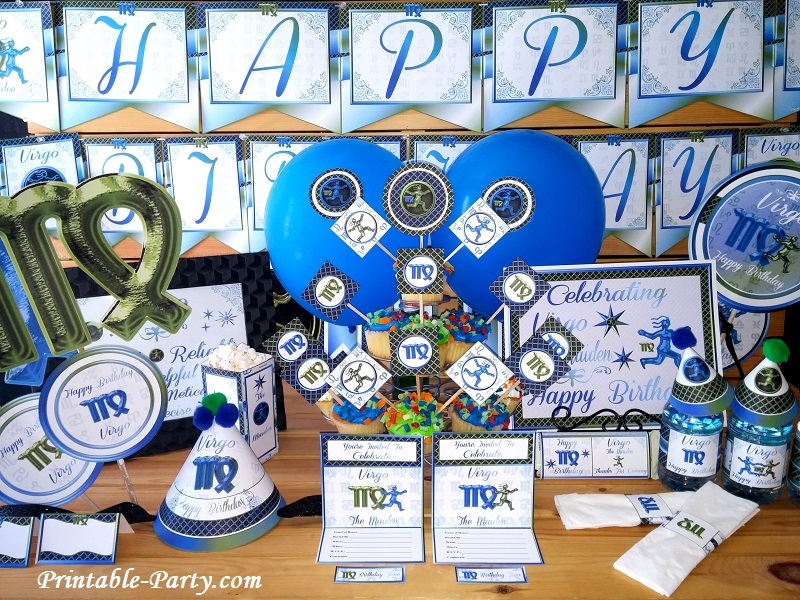 This theme is blasted with two birthstone colors. 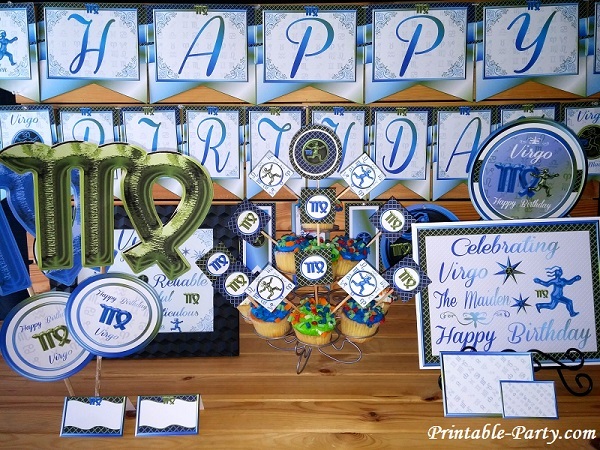 Lovely sapphire blue & peridot green are used throughout this astrology sign themed decoration. 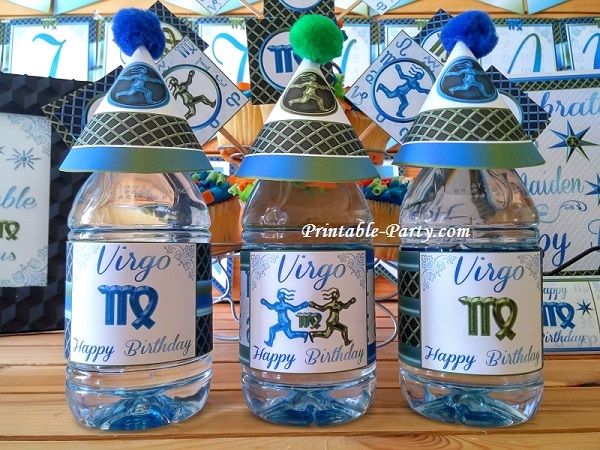 This horoscope party theme is also infused with symbols of the Virgo zodiac sign. 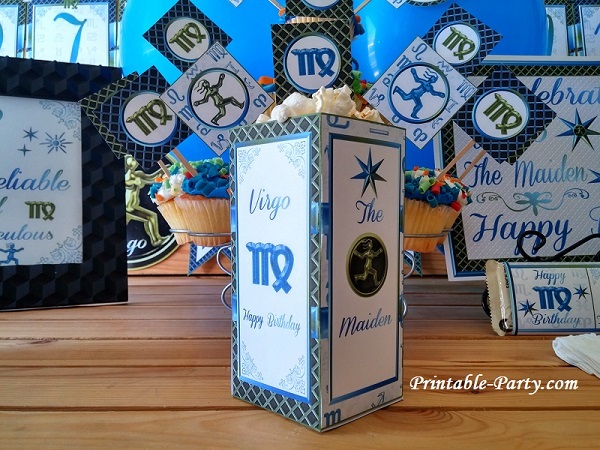 A running maiden & Virgo symbolization images make this party decorating pack eye popping & fab for your zodiac party. All of our digital downloads are available for you to download instantly after purchasing. You will be redirected from the secure payment transaction page to download your order. Orders are also sent to your valid email address. See How It Works. Once you have finished downloading your digital product, you can open it with the Free Adobe PDF Reader Program for viewing, printing, or adding digital text with the adobe sign tool to your invitations in the pack. 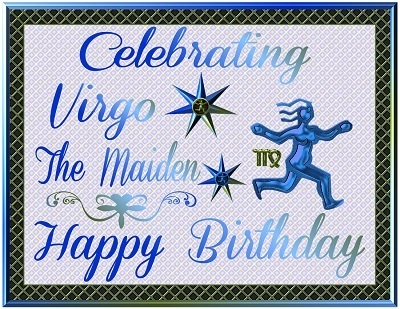 All of our printables are created to be printed onto 8.5x11 inch sized paper. 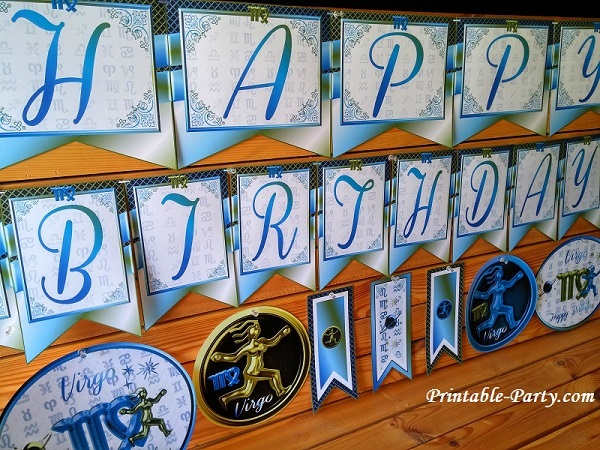 We suggest that you use thick card stock paper for a sturdier hold. 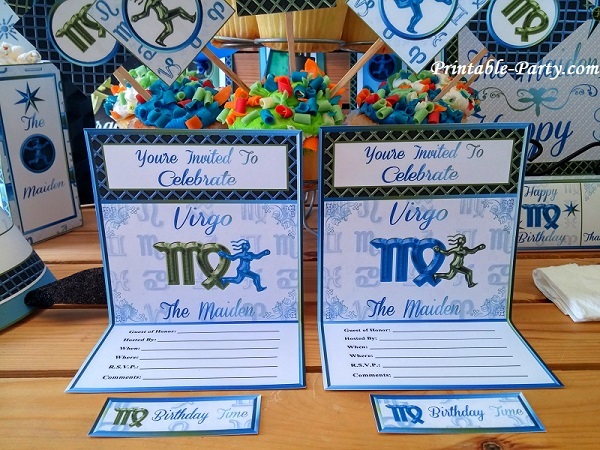 You can also use matte, glossy, or semi gloss photo paper for brighter colors when printing. 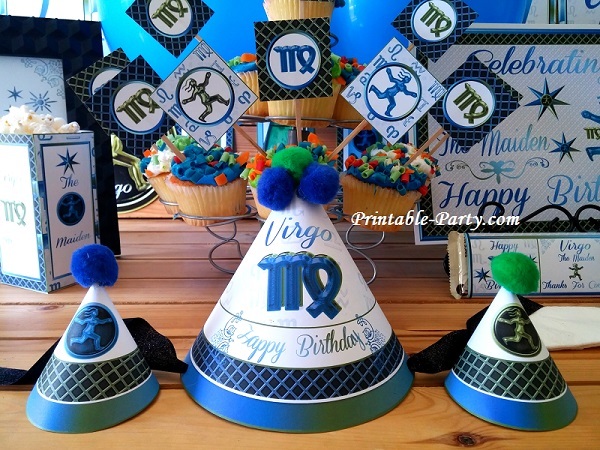 Printing can be done on your home or office printer. You can also save your purchased file onto a flash drive & take them to your nearest office supplies store or copy shop to be printed for you. Staples & office depot are a few good places to print. 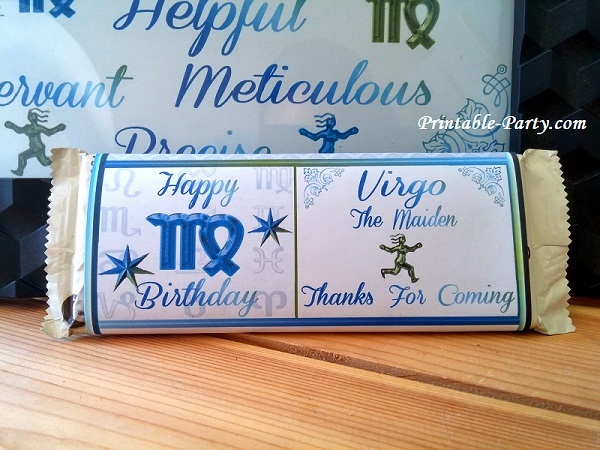 Simply let them know which pages you'd like, how many pages, & the paper type you'd like. 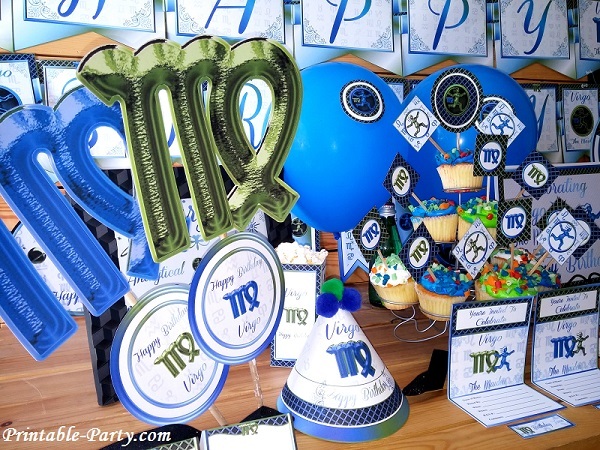 If you have any questions about our printables or how everything works View Our FAQ or Contact Us for more information. Single Items Are Coming Soon!